Calling all Netball lovers! 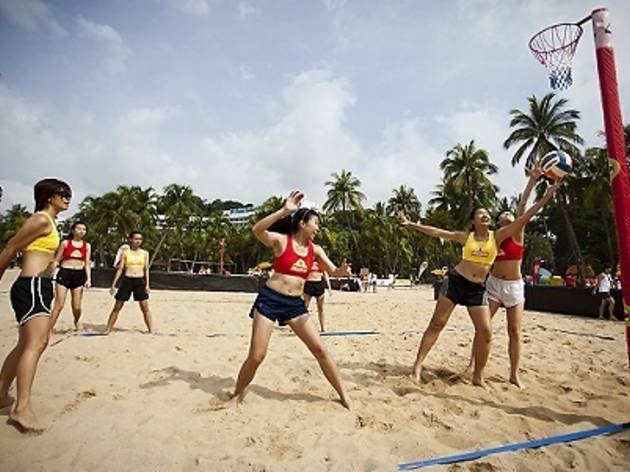 Sign up for some fun in the sand with this street netball festival at Sentosa. With three categories: Women Under 23 (for JC and tertiary instutitions only), Women Open (ages 18 and above) and Mixed Open (ages 18 and above), you'll get six minutes to outscore your opponents and matches will be in round robin format, as the top two teams from each group advance to the knockout stage before the finals. If you come in third, you get $300 in cash, runner-ups get $500 and winners get $1,000. Admission is $90 for a team of six. Registration ends on 18 Feb or when all 60 slots are taken up, whichever comes first.